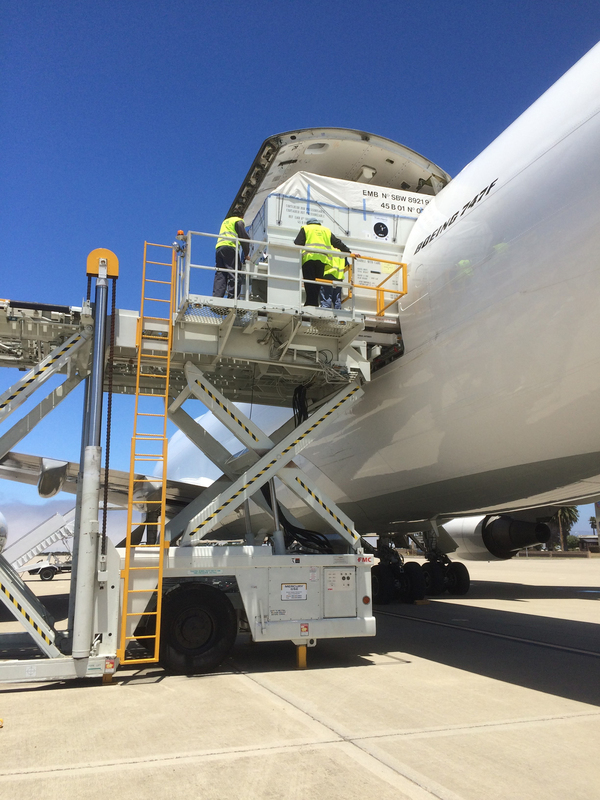 Engineers and technicians at Vandenberg Air Force Base in California have been conducting initial electrical tests of the Jason-3 spacecraft this week in preparation for the August launch. The tests have been going well and will be followed by Propulsion system leak checks beginning Monday. 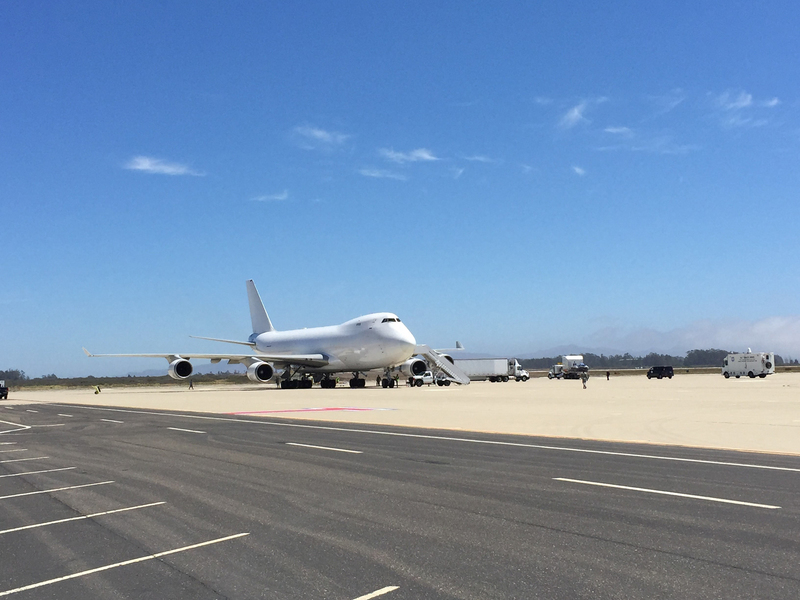 A 747 transport aircraft carrying the Jason-3 spacecraft touched down at Vandenberg Air Force Base in California today at 10:34 a.m. PDT, concluding a journey from the Thales Alenia Space manufacturing facility in France. 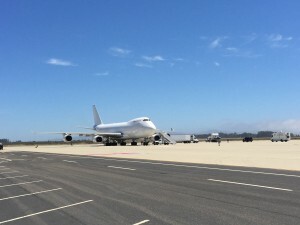 The spacecraft is being taken to the SpaceX payload processing facility located at Vandenberg’s Space Launch Complex 4 East, where it will be readied for liftoff August 8 aboard a SpaceX Falcon 9 rocket for NOAA, the National Oceanic and Atmospheric Administration, the French Space Agency and for Europe’s EUMETSAT. Data from Jason-3 will provide meteorologists and scientists with information about oceans that forecasters need to better predict severe weather and devastating hurricanes before they arrive onshore. The latest in a series of ocean-watching satellites will soon begin final preparations to take its place in Earth orbit. 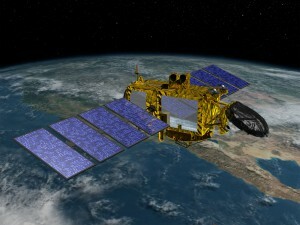 Jason-3 will measure wave heights, including the peaks and valleys across the surface of the world’s oceans. These ocean surface topography measurements will help scientists better understand circulation patterns and observe changes in sea level. The 1,100-pound spacecraft is the fourth in a series of joint U.S. and European missions designed to monitor long-term sea level rise and provide vital information to forecasters. The program began in 1992 with the launch of TOPEX/Poseidon, and continued with Jason-1 in 2001 and OSTM/Jason-2 in 2008. 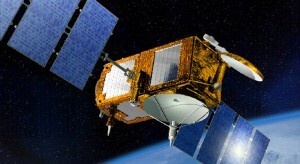 Jason-3 will launch from Vandenberg Air Force Base in California aboard a SpaceX Falcon 9 rocket. The satellite will repeat the orbital track taken by its predecessors, measuring wave heights and wind speeds every 9.9 days. Its suite of instruments will produce highly accurate measurements to within at least 1.3 inches.